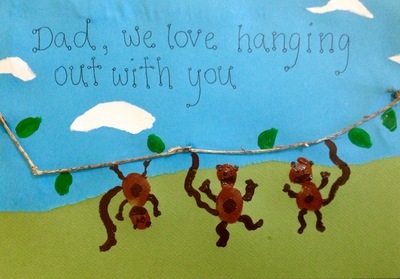 The Monkey Card is perfect for Father's Day, or change the wording to suit any special occasion. 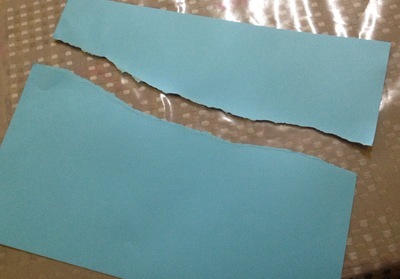 Rip the blue paper lengthwise, glue one of the pieces to the green paper to create the sky. 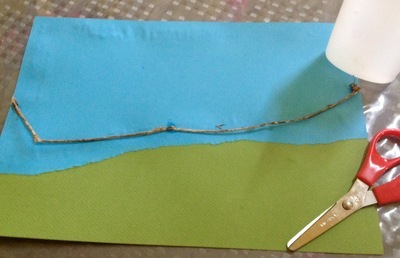 Glue the dried grass across the page. 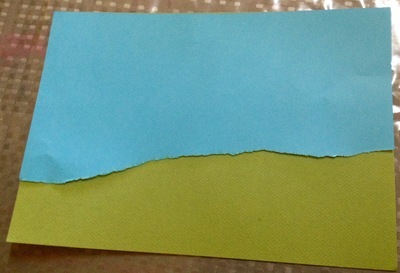 Trim with scissors as needed. 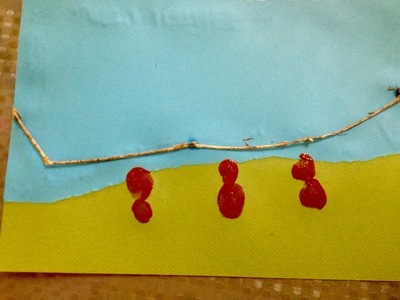 Finger print some light brown monkey heads under the grass. 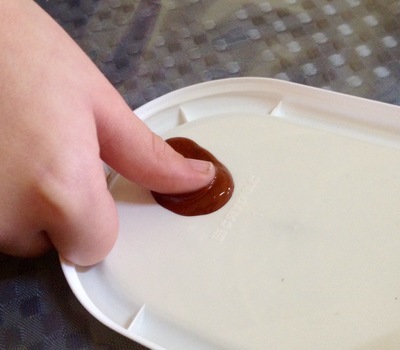 Use thumbprints to make monkey bodies. 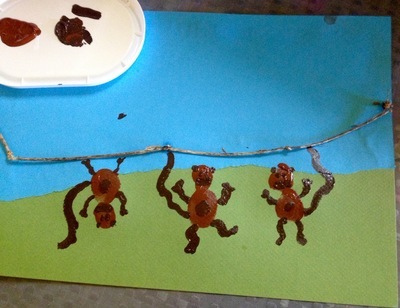 Add detail to the monkeys, using a paint brush and dark brown paint. 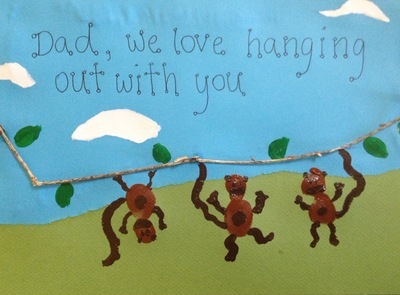 Make sure the monkeys are each hanging from the grass. 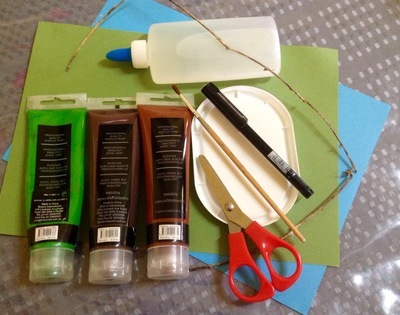 Add leaf detail with the green paint. 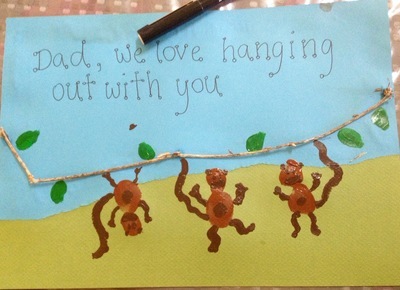 Use the pen to write "Dad, we love hanging out with you" on the card. 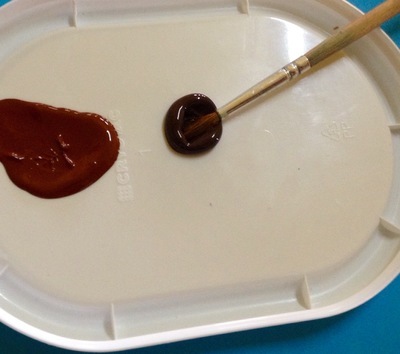 Rip the white paper into small clouds to glue over any spilled paint.